One of the biggest criticisms I hear often against regulated trapping activities is the suggestion that “trapping isn’t conservation”. Trappers are routinely “bashed” by activists and looked down upon by those in the environmental community. The insinuation all too often is that the activity is one bred out of greed or bloodlust. On the contrary, state wildlife agencies and the biologists tasked with managing wildlife are some of the first to readily support trappers and modern furbearer trapping techniques, because of the immense benefits and skills the activity produces. Whatever the anti-trapping “flavor of the month” subject may be, licensed trappers across North America never waiver when it comes to doing their part for sustainable conservation and wildlife diversity. New Hampshire’s trappers, for example, are once again being called upon to assist with wildlife conservation in the region. The state’s trapping community intends to fully answer the call. Multiple conservation-oriented projects are being administered by different agencies, and they’re all requesting tissue and carcass samples from legally trapped furbearing wildlife for scientific testing and research. 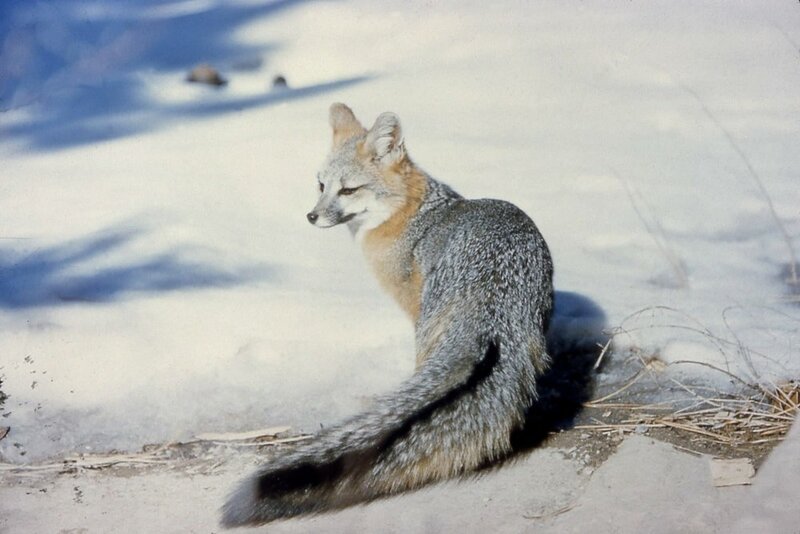 These projects include: USDA’s Wildlife Services-APHIS “Enhanced Rabies Surveillance” program, the expected continuance of the Northeast Disease Coop’s Fisher CDV project, and just announced; NH Fish & Game’s Grey Fox distemper study. Countless wildlife professionals and biologists I’ve spoken with have mentioned they prefer trapped samples over road-killed, depredation, or illness-killed specimens. This is due in part to the controlled method in which animals are dispatched and handled; leaving important tissue in the body intact and uncontaminated by outside elements - resulting in incredibly accurate and real-world data potential. In order to fully evaluate the agency’s Oral Rabies Vaccination Program, an Enhanced Rabies Surveillance (ERS) zone has been implemented in New Hampshire to monitor ongoing rabies cases. The goal is to verify the presence or absence of raccoon variant rabies in the areas just outside the ORV bait drop zones. The ERS zone not only encompasses the current ORV zone but also extends into areas north, east and south. USDA staff have called upon New Hampshire trappers to submit carcasses and/or brain stem tissue for testing. Furbearers trapped in the Laconia / Lakes Region area of the state, north to the Vermont and Canadian borders are requested. You can read up on our recent report regarding the USDA Rabies Program here. For more information, contact Colleen Marron or Carrie Stengel at the USDA Wildlife Services-APHIS Concord, NH office, at (603) 223-6832. After successful fundraising efforts from a dedicated group of local hunters, the NH Wildlife Heritage Foundation secured funding for a comprehensive study to investigate distemper (CDV) impacts on New Hampshire’s furbearers. As of December 2018, the department has requested turn-in of carcasses from grey foxes hunted or trapped during the legal hunting and trapping seasons. Tissue samples from over 20 different animals will be taken and tested for the presence of distemper. I’m hopeful the study will continue into next year’s trapping seasons, and expand to include turn-in of red fox, fisher, and raccoon. I’d love to add bobcat samples to the mix as well, however, without a regulated season on this species, it will be heavily relied upon roadkills and cooperation with municipal agencies. Regulated hunting and trapping seasons have been heavily criticized by local protectionist and environmental groups recently, citing a continued decline in the amount of animals caught and reported by trappers over the last few decades. While many of these groups have attempted to blame the state’s trappers for a decline, many other factors haven’t been figured into those arguments; including extensive habitat loss, expanded predatory impact (coyotes and bobcats), continued decline of skilled trapper experience, and a potential distemper outbreak. We reported on the debates as they reached a boiling point this past spring over fox trapping seasons. In the end, the Department’s rule-making commission opted to reduce statewide fisher take to a 2 animal limit. The state’s fox seasons (for both red and grey species) were left as they have been pending future research into population dynamics. For more information about the NH Grey Fox study, contact us via our Contact page, or contact Patrick Tate, NH Fish and Game’s Furbearer Project Leader, via the department’s Wildlife Division at (603) 271-2461. New Hampshire’s trapping community has never shied away from lending skilled expertise and assistance to beneficial wildlife conservation programs. Often times, this assistance is administered at a volunteer level, with little or no cost to grant funding, the general public, or the agencies and biologists involved.